Support for Alibaba Cloud. We’ve added support across the entire DivvyCloud platform, including insights, bots, and compliance packs, for Alibaba Cloud. 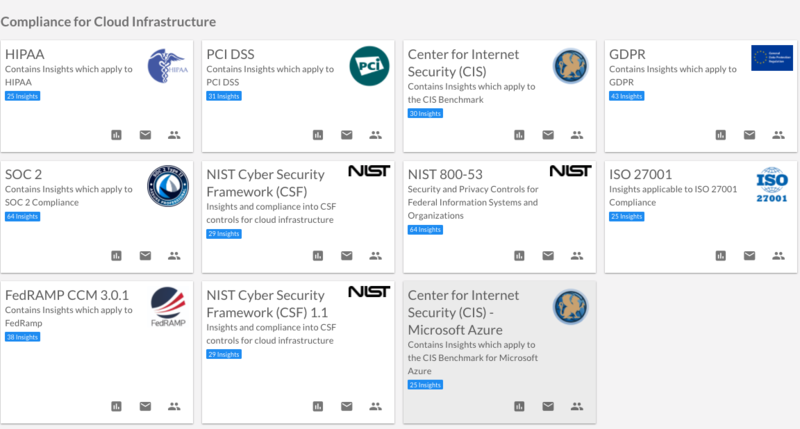 A new Azure specific compliance pack that maps to the recently released CIS Microsoft Azure Foundations Security Benchmark. Support for AWS Trusted Advisor which broadens and deepens our ability to provide insights and actions for security, fault tolerance, and cost optimization in Amazon Web Services. Jira integration. DivvyCloud allows customers to automate remediation of policy violations, and DivvyCloud Bots can now open Jira tickets. Jira is a service management tool from Atlassian. More cloud support: Alibaba Cloud – Doing business in China? A lot of our customers are, and they have embraced Alibaba Cloud. In response, our latest release also welcomes Alibaba Cloud creating parity within our platform with other primary public cloud providers. DivvyCloud now supports Alibaba Cloud across the entire platform allowing customers to perform real-time, continuous discovery, identify policy violations with Insights, and automate remediation of violations with Bots. Never heard of Alibaba Cloud? It is the $2B cloud computing arm of Alibaba Group (NYSE: BABA), Alibaba Cloud provides a comprehensive suite of global cloud computing services to power both our international customers’ online businesses and Alibaba Group’s e-commerce ecosystem. In 2017, Alibaba Cloud was placed in the Visionaries’ quadrant of Gartner’s Magic Quadrant for Cloud Infrastructure as a Service, Worldwide. With their world-class infrastructure and ever-expanding global presence, Alibaba Cloud is dedicated to becoming a leading global cloud services provider. Improved security and compliance: Azure CIS Insight Pack – In March 2018, Microsoft published the CIS Microsoft Azure Foundations Security Benchmark. DivvyCloud has taken the prescriptive guidance for establishing a secure baseline configuration for Microsoft Azure and implemented it as one of our Insight Packs. This means that customers can now gain immediate and continued visibility into the posture of their Azure environments against this benchmark, and then use Bots to remediate policy violations. 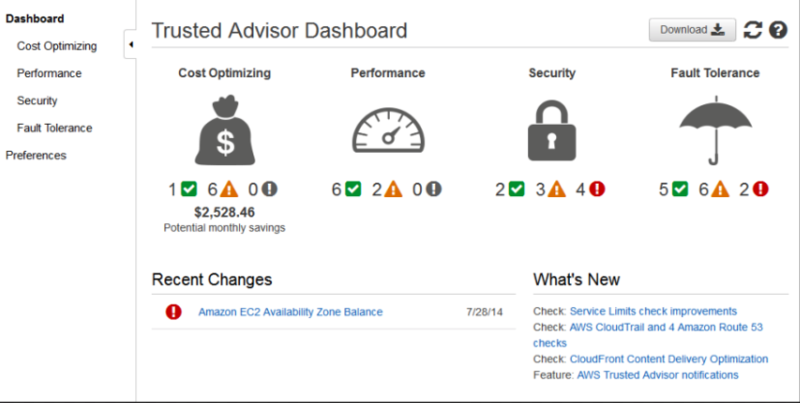 Take action: Trusted Advisor Checks – Trusted Advisor is an online resource to help you reduce cost, increase performance, and improve security by optimizing your AWS environment. DivvyCloud is making Trusted Advisor better by making it more frequent, more accessible, and centralized across your account. Normally Trusted Advisor refreshes its data once per week unless you manually trigger a refresh. To improve the frequency of this data so that we can use it to drive automation, we automate the refresh of Trusted Advisor every two hours. Teh two-hour refresh means that we can gain identify security risks quickly and take action to remediate these risks. For example, if a developer puts an API access key inside of GitHub, this will be flagged by Trusted Advisor, DivvyCloud will identify this policy violation, and alert you or take actions that you have specified. 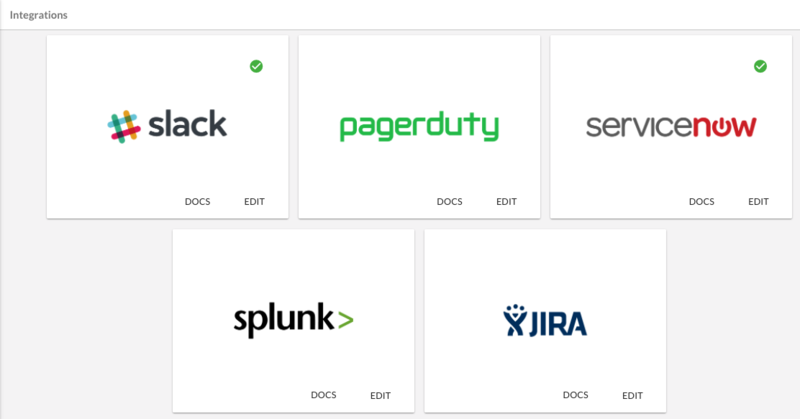 Integrations: Jira – The basic use of Jira is to track issues, and bugs related to your software and Mobile apps. DivvyCloud’s integration with Jira makes it easy for our bots to open Jira cases and send information about the resources. Jira is a service management tool from Atlassian. Interested in learning more? Click here to view the full release notes associated with our 18.4 release, or get your free trial and see our features in action.